Everybody needs a friend. Mama’s Boy is a short horror film written and directed by Samantha Kolesnik and produced by Vanessa Ionta Wright. Viewers are instantly uncomfortable the moment Catherine (Kara Vedder) appears on screen. Her demeanor, her facial expressions, and tone all indicate that something is terribly, terrible wrong — just not for her. Lead actor Malcom Mills embodies the defeat and deplorable nature of Joshua. Without that, the short couldn’t have sold the saddening story it was motivated to tell. The scoring is moving and elevates the performances. It felt classic in a sense, as if it’s been in rotation in my own film collection for years. In other terms, it was an ode to Psycho, while still maintaining its originality. Mama’s Boy gallantly invokes pity, sadness, excitement, and disgust. Supporting cast members include Nathan Ludwig and Jaysen Buterin, who all contribute to the depressing world the lead is forced to dwell in. 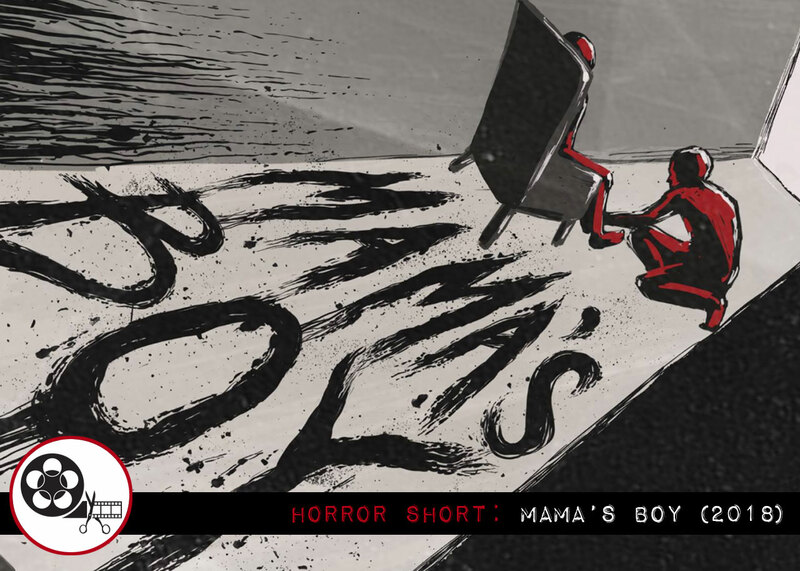 MAMA’S BOY is by far a highly defined and skillfully crafted short worthy of much praise by both horror and thriller fans. A negative that could be argued was the amount of special effects. Given that so much anger was pent up, having more of a visceral release for the audience to indulge in would have satisfied both those identifying with the lead and those who crave gore. Again, a slight (hypothetical) complaint. Samantha Kolesnik’s other work includes I Baked Him a Cake. Be sure to follow Mama’s Boy on social media for behind-the-scenes photos, festival information, and news!